Home ›News/Insights ›Stop Ignoring This Abundant Supply of Hardworking Employees! As a member of a local executive networking group, a frequent topic in our meetings is the lack of quality, hardworking employees. Due to the strong job market, it is becoming increasingly difficult to find employees with the appropriate qualifications for a position, and once that match is found, employers tend to hope productivity follows. The one demographic my peers tend to overlook while hunting for the perfect candidate is the mature workforce. Mature workers make up some of the most highly educated, extremely productive employees and come from one of the highest achieving workforces in history. At Career Partners International (CPI) we work with thousands of highly qualified, motivated, and experienced workers every year. In today’s employment market, older workers are still interested in contributing to the workplace. Many of these workers still want to, and even need to work for years to come. Technology and workplace skills are evolving at a faster pace than ever before. Most every community has developed educational programs and training to help this group of workers refine their skills, add new skills, and in some cases totally change their existing skill sets. Both traditional and emerging fields of education are available to reposition this group for a renewed impact in the workforce. CPI offers a variety of training programs to improve candidates’ skills to better fit the modern workplace. No longer is a long resume a reason to think a potential candidate’s skillset is obsolete. Never forget that no matter what age or generation a worker was raised in, it is only when one stops stop learning, unlearning, and relearning that an employee becomes unemployable or undesirable in the workforce. Many mature employees have worked hard to keep their superior skills on the upswing. Retooling their skills through continuing education and training has become a priority for many of these workers. 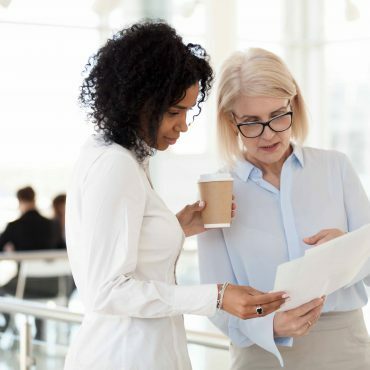 While some retooling may be arduous, often these shifts come naturally and the path to do so simply needs to be highlighted by a good coach or mentor. Relearning and discovering new ways of working builds on a strong foundation of decades of experience. As businesses continue to face new challenges and opportunities, we must count on hiring back this generation to address escalating talent shortages. This hardworking generation has the desire, ability, and means to combine their drive and experience with new forms of learning to stay relevant. To keep our businesses competitive and economically strong we must harness the potential of all talent available to us, both new and practiced. With the recent launch of CPI EmployerConnect™ employers can more easily find these hardworking candidates. Employers can and should look to bring back seasoned, wise, and reliable workers for the challenges in today’s workplace.